Some flowers- not even bright ones, even dark, smoldering ones- are a bit of ephemeral nature when fresh that can prompt temporary and vibrant mood lifting! 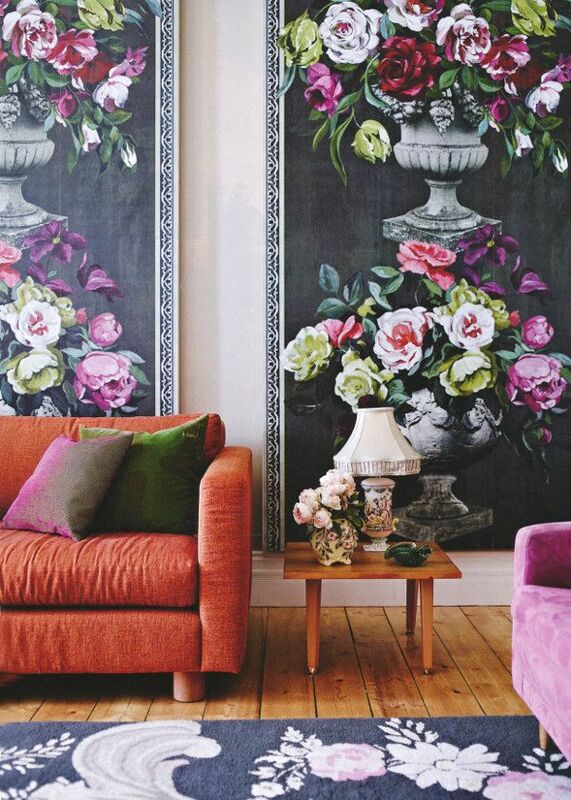 Floral patterns harness the fleeting nature of the impossibly delicate and bring joy to a room. 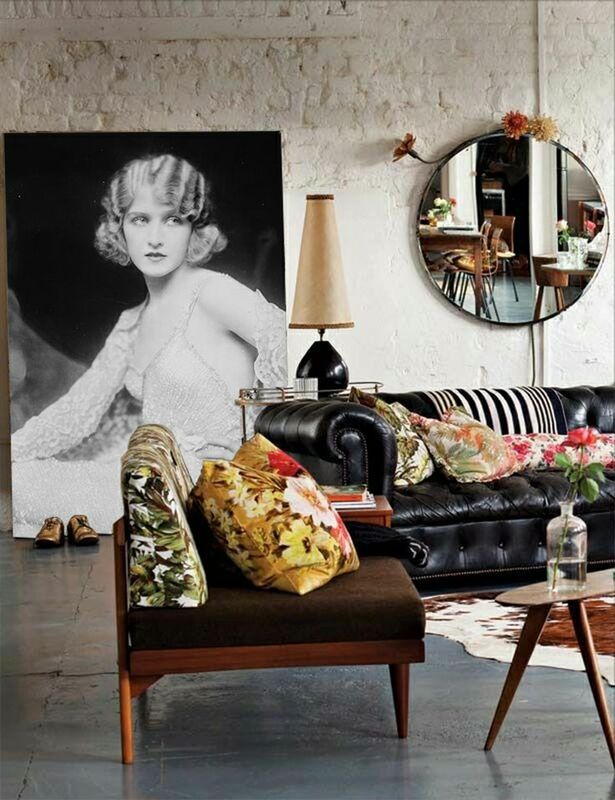 Mixing more and more florals into a dark room brings a kind of bliss that everyone will love. Colors have meaning and vibrational oomph. Use feng shui color basics to pick colorful vases as well as colored blooms that match your mood. You can learn some color basics right HERE! For me, buckets of flowers are never enough. 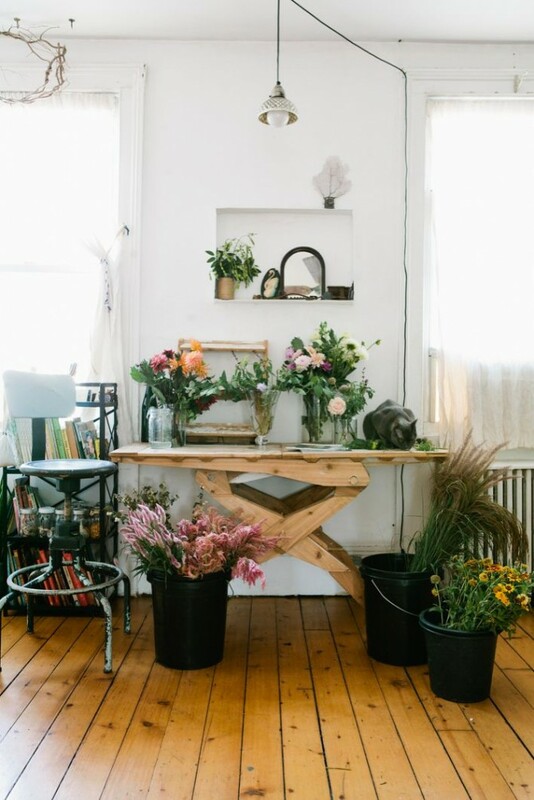 I have been known to hit the Downtown Los Angeles flower mart at an ungodly hour to scoop up buckets of flowers when styling a home… or just feeling the need for the wow-factor of fresh blooms! 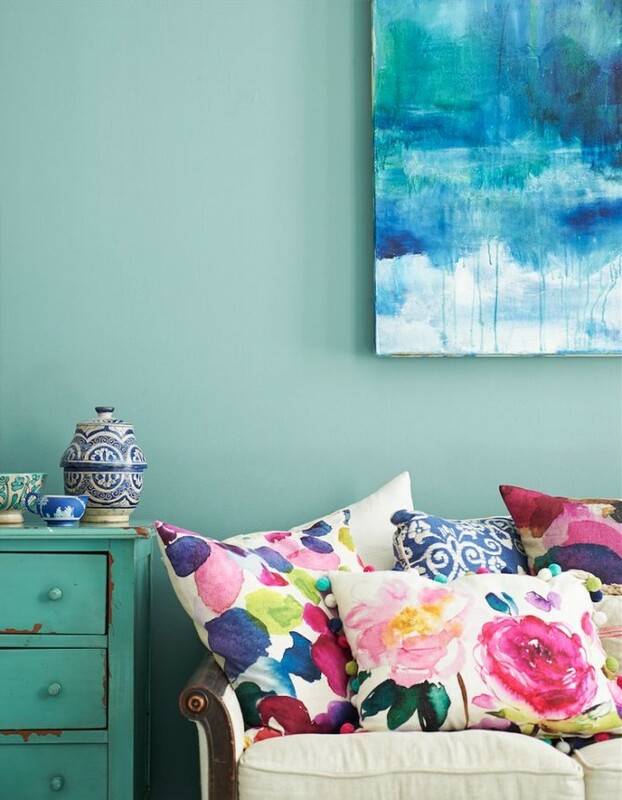 Bright floral pillows are a bit on the nose when it comes to floral remixing, but they always add cheer, hence they are here! 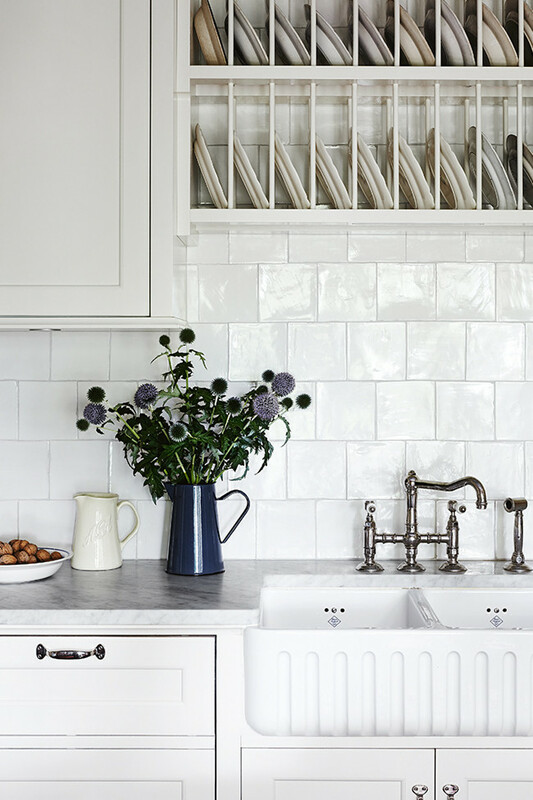 Use a pitcher, a vintage milk bottle or those infamous Mason jars to create kitchen florals in every shade of welcome. The kitchen is a highly prosperous space in every home, so amplifying this energy is quite amazing for your whole life! What I love the most here- and an idea for eclectic homes that really resonates- are these silk blooms tucked around the mirror! You can really do wonders with silk flowers in a boho chic way— twisting them into garland, creating fun wreaths, tossing them on an empty shelf, weaving them into unexpected places. 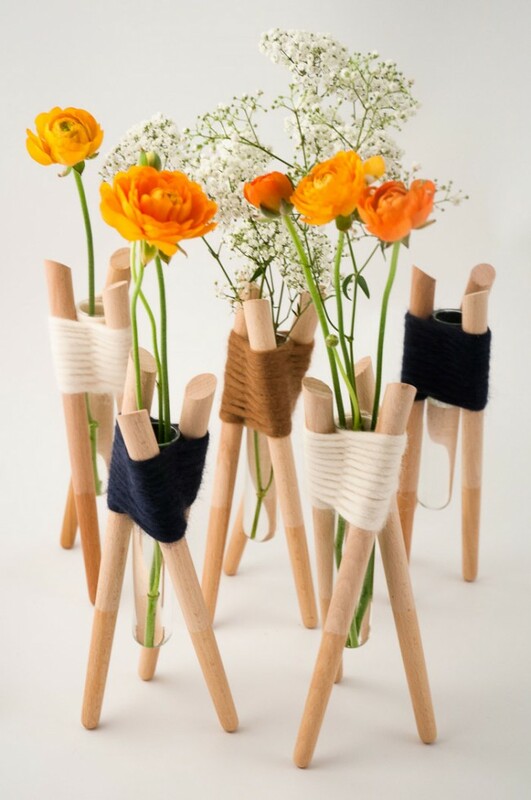 Silk flowers are AOK in a feng shui way… as long as you keep them very clean! Previous post: Why I Hope You Can Steer Clear Of The Radical Woo Woo Feng Shui (& Bonus Bathroom Tips) ! Next post: Make A Move Toward More Happiness In A Few Minutes!